Please follow all of these safety tips to ensure safe travel. Remember, under Ohio law, a bicycle is a considered a vehicle. Like other vehicle drivers, cyclists have the right to be on the road, and the responsibility to follow all traffic laws. Obey all Traffic Laws. Always ride on the right side of the road –with traffic. Always stop for all red lights and stop signs. Wait in line with traffic; do not move ahead on the right. Signal when you are going to turn or stop. Establish eye contact with motorists at intersections to ensure the driver sees you. Ride no more than two abreast and stay in the same lane of traffic. Look around! Be aware of opening car doors, cars in driveways, hidden driveways, potholes, gravel, etc. Warn other cyclists of these dangers. Make yourself visible. Wear bright clothes. If the light is dim turn on front and rear lights of your bike. Click here to view a short video on cycling. 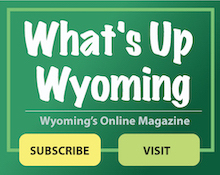 Click here to view a list of the Parks, Preserves, and Trails in Wyoming including a map of the Wyoming Hike/Bike Trail, and recommended walking and biking routes in Wyoming as well.